When asked what do you hate most, it must be the trouble of unexpected photo loss. Because photos stored on PC are so fragile that they can get lost for a variety of reasons, which makes “how to recover deleted photos from PC” one of the hottest topics being discussed on the Internet. To solve this problem, all computers offer a built-in Recycle Bin function to store deleted files temporarily in case of users change their mind and want to get the files back. However, what if the Recycle Bin doesn’t work and wipe off your photos from the computer completely? Do you know how to recover permanently deleted photos from PC? No panic. Here are 2 simple solutions for you. 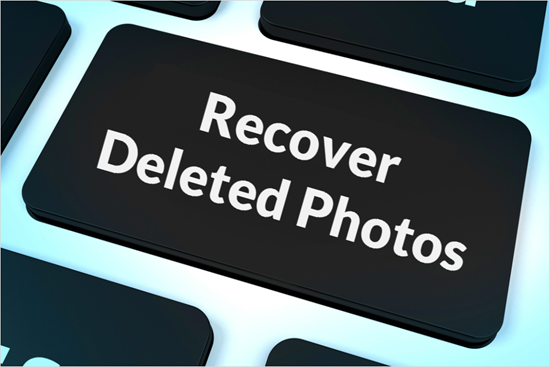 The handiest way to recover deleted photos on PC is using a third-party photo recovery tool for Windows/Mac computer. 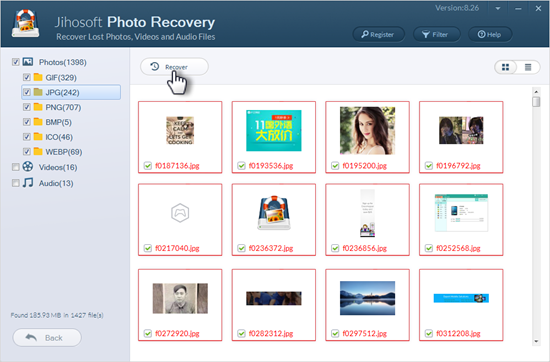 Here Jihosoft Photo Recovery is highly recommended for its excellent quality, security and usability. Quality: Jihosoft Photo Recovery supports to recover JPG, TIFF/TIF, PNG, BMP, GIF, PSD, CRW, CR2, NEF, ORF, RAF, SR2, MRW, DCR , WMF, DNG, ERF, RAW and more types of photos from various storage devices like computer, memory card, flash drive, etc. Security: It scans for lost photos in only-read mode and will never do harm to your data or device. Usability: This program is very user-friendly. It doesn’t require any technical skills and will restore your deleted photos on computer in only 3 simple steps. Step 1: Install & Run Jihosoft Photo Recovery on your computer. 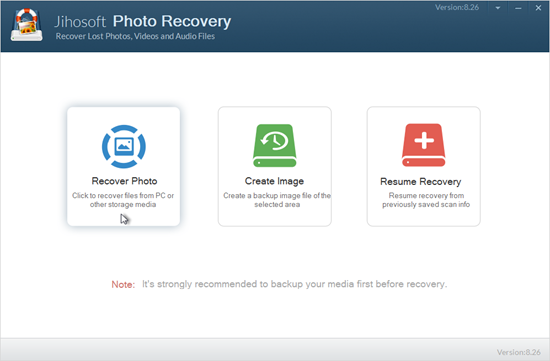 After opening this professional photo recovery software for PC, you will see 3 options in the interface: “Recover Photo”, “Create Image” and “Resume Recovery”. Please click the first one. Step 2: Scan Your Disk for Lost Photos. Select the disk where your deleted photos were stored, and click “Scan Now” button. Moreover, the “Advance Scan” option allows you to selectively scan for specific types of photos, which will shorten the scanning time. All the recoverable photos will be listed out by type after scanning. You can preview them detailedly, check what you want and tap “Recover”. If you have enabled the System Protection feature in Windows before, it will automatically keep a copy of your folders in which your lost photos still exist. So that you can restore the deleted photos from computer by restoring the folder to previous version. Locate the folder where your lost photos were kept. 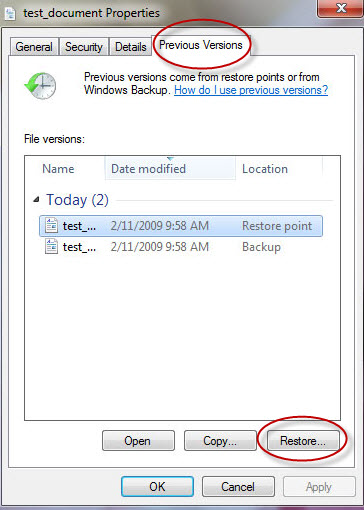 Right click it and choose “Restore the Previous Versions” option in the pop-up menu. In the new window, tap on “Previous Versions” button. Select the version you want to restore in the list and then click “Restore”. Tip: How to enable System Protection on Windows Computer? Go to the System control panel on your computer through the following path: Control Panel/System and Security/System. Then you will see System Protection option in the left of this panel. Click it. In the new pop-up window, you can check the protection state of your Disks. Select the one whose state is off and tap on Configure button. At last, check the Turn on system protection option in configure panel and click OK.